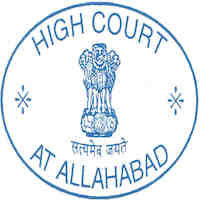 Online Application Details for Allahabad High Court Recruitment of 95 Law Clerk (Trainee) is given below. Application form and duly attested documents are to be sent to the Registrar General, High Court of Judicature at Allahabad with attested copy of relevant documents, Bank Draft & two self addressed envelope (size 5”x10”) each bearing postage stamps worth Rs. 40/-. In envelope super scribed with 'Application for the Post of Post Name'.